​A senior business systems analyst in Massachusetts, Anthony Freddura builds upon a long career in business technology that includes tenures as a project manager/principal analyst with Fidelity Investments and a product owner/lead business systems analyst with Epsilon. Outside of the professional arena, Anthony Freddura is a dedicated member of the World Vision Grace Chapel in Lexington, Massachusetts. In addition to offering regular Sunday worship services and performing special religious ceremonies, Grace Chapel support a number of internal grassroots ministries that serve specific Christian populations and support specific charitable causes. One of these ministries is the adoption, foster, and kinship care initiative Home for Good. Grace Chapel’s Home for Good ministry began as a highly personal project of its founders, which included grandparents who adopted their grandchildren, parents with adopted children from Guatemala, the foster parents of both teenagers and toddlers, and a dedicated youth social worker. Over the years, Home for Good has reached out to foster and adoptive families to provide them with the information and resources that they need to welcome children into their homes. Since 2013, Anthony Freddura has served as the lead business systems analyst for Epsilon in Wakefield, Massachusetts. Outside of work, Anthony Freddura attends the nondenominational Grace Chapel in the nearby town of Lexington. In addition to holding Sunday services, Grace Chapel oversees a variety of care ministries and programs at each of its four locations. The church’s ministries are designed to provide encouragement and support to members of the communities it serves as they work through issues such as divorce, the loss of a loved one, and addiction recovery. Grace Chapel also conducts ministries for those who are homebound, in a nursing home, or dealing with cancer or other major health problems. Moreover, the church operates a food bank for individuals and families in need and assists job seekers through its bimonthly ReEmployment Roundtable meetings and periodic Job Search Workshops. More information about all of Grace Chapel’s care ministries and programs can be found at www.grace.org. Anthony Freddura serves Epsilon as a product owner/lead business systems analyst. In terms of philanthropic interests, Anthony Freddura supports Grace Church in Lexington, Massachusetts. Founded in 1948, this non-denominational church met in members’ homes for several years and eventually expanded into a congregation of 4,000 members spread across Lexington, East Lexington, Watertown, and Wilmington. Grace Church makes a concerted effort to increase the presence of other cultures in its largely Caucasian membership. Today, 30 percent of its members have roots in Latin America, Africa, Asia, Eastern Europe, the Pacific Islands, and the Caribbean. The church’s multicultural and leadership-learning team takes several steps toward promoting diversity and assesses its progress along the way. The team strives discover how cultural groups can contribute to worship and service and identify practices that might be unwelcoming to individuals with different cultural backgrounds. Acting as a liaison with overall church leaders, the team encourages the church’s ministries to identify emerging leaders who are representative of the church congregation’s multicultural makeup. The team also works toward reframing outmoded definitions of leadership. In addition, Grace Church offers language classes for English learners, some worship services have Korean, Spanish, and Mandarin translators. Experienced in project management and business systems analysis, Anthony Freddura formerly served as a business systems analyst for Genentech, Inc., in the San Francisco Bay area. Anthony Freddura currently works as a senior business systems analyst with MultiPlan, Inc.
Headquartered in Waltham, Massachusetts, MultiPlan has become one of the world's leading providers of health care cost management solutions. Insurance companies, health management organizations, and self-funded employers represent some of the groups that utilize its services. Moreover, MultiPlan’s network and analytics-based software helps identify fraud and reduce costs. Additionally, MultiPlan gives back to its community through its annual Holiday Card program. Health care groups from across the country allow pediatric patients to make drawings that may be featured on Holiday Cards, which the respective hospitals can then use for fundraising. In 2014, more than 45 patients sent in their drawings, and the top drawings came from facilities in Tennessee, Texas, and Nebraska. Also that year, MultiPlan made a $12,000 donation to the global nonprofit group Starlight Children's Foundation. Among MultiPlan’s other end-of-year initiatives are donating toys to hospitals and funding rural health care programs. Currently a senior business systems analyst, Anthony Freddura leads and guides software development projects for MultiPlan, Inc., a major health care cost manager located in Waltham, Massachusetts. Prior to contracting with MultiPlan, he worked for several firms in the Boston area, including Iron Mountain, Fresenius Medical Care, and Fidelity Investments. When he is not attending to professional responsibilities, Anthony Freddura participates in several of the programs and ministries at Grace Chapel in Lexington, Massachusetts. Like many American faith communities, Grace Chapel began in 1948 as a relatively informal weekly gathering of Christian believers, engaging in worship, prayer, and Bible study. They initially met in their homes, but soon needed to rent space to accommodate the growing congregation. The group incorporated in 1956 and has grown progressively ever since. 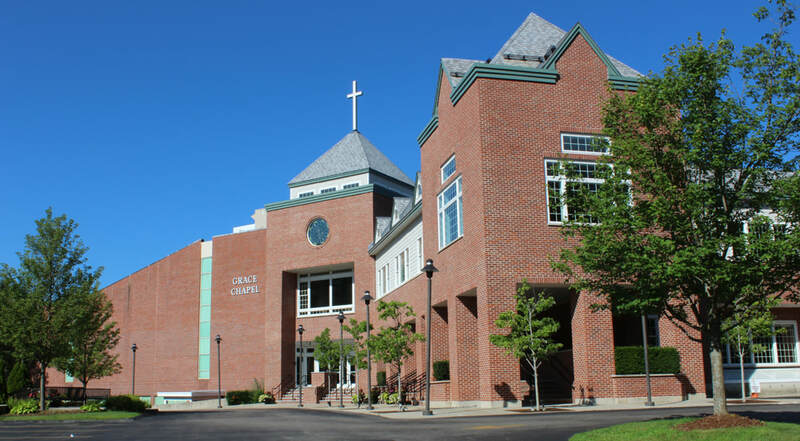 Grace Chapel today serves a congregation or more than 4,000 at five locations in eastern Massachusetts, including Wilmington and Watertown, as well as three locations in Lexington. In addition to traditional Sunday morning worship services, Grace Chapel offers a broad range of services to its congregants and members of the community. Among these ministries are programs to help young people grow in their faith in the fellowship of their peers, as well as programs for adult men, women, and couples. Another program, the Mature Adults Program, offers those age 55 and older opportunities for spiritual growth, fellowship, sharing, and caring, as well as recreation. Grace Chapel also offers its members the opportunity to volunteer on short-term mission trips to other parts of the world, including Haiti, Moldova, Lebanon, and Malawi. Some of these trips focus on providing dental and medical services to underserved communities, and some concentrate on providing other kinds of services, such as working on construction projects for schools and orphanages. Participation in the missions is limited, but Grace Chapel also offers numerous service opportunities closer to home. All the missions and service projects give participants the opportunity for exceptional personal growth and a deeper understanding of the heart of Jesus. I lived in the San Francisco Bay Area from 2000 to 2007 while working as a Business Systems Analyst for Genentech, a biotechnology company. While residing in the region, I enjoyed the opportunity to try some of the best restaurants in the country. I recently looked at the San Francisco Chronicle Magazine’s Top 100 Restaurants list to see which eateries and fine dining establishments now appear in the rankings. If you visit the Bay Area, I recommend that you try these five restaurants. 1. Chez Panisse (Berkeley): Included among the Top 100 since 2001, Alice Waters founded the dining establishment in 1971. The downstairs comprises a formal restaurant whose menu changes daily and the upstairs accommodates a café. Specializing in fresh, organic cuisine, Alice Waters focused on this philosophy long before the general public became aware of the idea. Chefs Jean-Pierre Moulle and David Tanis each spend six months of the year overseeing the renowned kitchen, which specializes in California-Mediterranean cuisine. 2. Flour + Water (San Francisco): The establishment received a nomination for a James Beard Best New Restaurant of 2010 Award. Specializing in Italian fare, including wood-fired pizzas and a warm lamb’s tongue salad with poached egg, Chef Thomas McNaughton changes the menu on a daily basis. The acclaimed eatery offers entrees ranging in price from $15 to $23. 3. Yank Sing (San Francisco): Located in the world-famous Chinatown, this restaurant ranks among the city's best for Chinese cuisine. Renowned for its dim sum and Peking duck, this establishment offers more than 80 items on the carts that circle the dining room. The Chronicle mentioned that Yank Sing costs more than some similar eateries, but the food quality also remains higher. 4. Hog Island Oyster Co. (San Francisco): Located in the Ferry Building, the establishment serves seafood enthusiasts in the Bay Area and ships first-quality oysters to restaurants around the United States. Served on ice, oysters arrive at the table in sets of 6 or 12 and cost as much as $30. The menu also includes salads and other types of seafood and visitors can watch the ferries come in from the dining room. 5. The Dining Room at the Ritz-Carlton (San Francisco): For diners seeking French cuisine, this restaurant does not disappoint. The chef combines French and Japanese influences to create exquisite dishes featuring fish and other seafood. 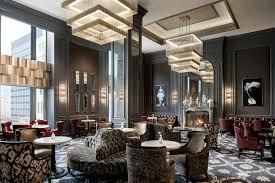 In addition to the appealing menu, patrons enjoy fantastic service. The prix fixe offerings range in price from $74 to $120. A longtime musician and fan of music in many genres, I enjoy many American musical artists, including Ray Charles and Ray LaMontagne. 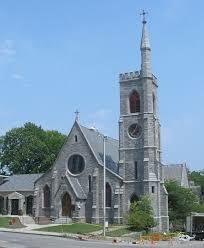 I play rhythm guitar for worship events at the Grace Chapel in Lexington, Massachusetts. Last year I received an invitation to perform at a weekend retreat for high school students at Camp Berea in Hebron, New Hampshire. Playing songs by Christian recording artists Lincoln Brewster, Matt Redman, and Hillsong UNITED of Hillsong Church, I reinforced the retreat’s goal of engaging students with God and the teachings of Jesus Christ. 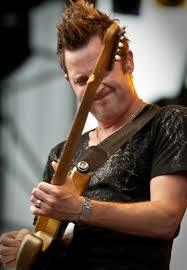 Born in 1971, Lincoln Brewster inspires many younger Christians. He not only serves as a Pastor, but also as a highly respected multi-instrumentalist who gained a reputation over the past two decades for his excellent guitar recordings. As a child growing up in Homer, a seaside Alaskan town of 5,400 residents, Brewster played mandolin alongside his mother as cruise ship passengers disembarked. As a teen, Brewster moved to Modesto, California, and joined marching and jazz bands, playing guitar and the snare drum. An accomplished guitarist by the age of 19, Brewster received recording offers and promises of a lucrative career from producers in Los Angeles. Feeling empty inside, Brewster turned to God through the encouragement of a girlfriend. During the early 1990s, Brewster recorded music and toured with Steve Perry, former Lead Vocalist of the band Journey, before returning to Modesto and working with youth as a Worship Leader and Associate Music Director at the church he attended. In 1997, Brewster moved to Nashville, where he worked with veteran Christian musicians and broadened his expertise in music. Moving back to California in 2001, Brewster serves as Worship Arts Pastor for Bayside Church in Granite Bay, near Sacramento. I appreciate the upbeat energy of Brewster’s contemporary Christian sound, as do younger generations of believers who have made his music popular in recent years. An avid guitar player, I enjoy the opportunity to share music and God's Word through worship at Grace Chapel in Lexington, Massachusetts. As a volunteer in the Worship Arts Ministry at Grace Chapel, I dedicate my music to my brothers and sisters in Christ. In a community of people who live passionately to serve and worship the Lord, I seek to establish an environment that encourages others to build close, vital relationships with God. The Worship Arts Ministry allows those of us with creative interests to bring attention to Jesus in any way we can. In addition to Grace Choir, Grace Orchestra, contemporary praise bands, and vocal teams, which lead worship for morning services at Grace Chapel, the Worship Arts Ministry includes diverse opportunities for individuals who want to contribute their talents to worshipping God. Those with experience or an interest in running the technical aspects of worship, including sound, light, and video, possess the opportunity to serve in the Technology Ministry. Actors and other stage specialists can contribute to the Drama Ministry, which includes ongoing troupes, as well as seasonal productions. Finally, the Worship Arts Ministry strives to establish the worship of God as not only passionate, but also accessible through the Media Ministry, which produces weekly recordings of services, and the Signing Ministry, which expresses worship through the art of signing for the hearing impaired. In addition to volunteering at Grace Chapel, I played rhythm guitar with a few friends at a weekend retreat in New Hampshire for high school students. I helped lead worship with music from contemporary Christian artists, such as Hillsong United, Matt Redman, and Lincoln Brewster. The experience proved enjoyable for the kids and ourselves. A Massachusetts executive with a marketing and advertising background, Anthony Freddura works to deliver sustained business value for Epsilon’s SaaS platform. Anthony Freddura has a passion for music, and enjoys compositions from the perspective of a rhythm guitarist. A recent Boston Globe article drew attention to the book Astral Weeks: A Secret History of 1968, which examines a seminal summer in which Van Morrison “hid out” from the New York music industry in Cambridge and honed a landmark sound that would define an era of blues- and country-tinged rock. Only 22 at the time, Morrison had achieved success with songs such as Brown Eyed Girl, but found himself entangled with a label that had ties to the underworld and was limiting his artistic potential. 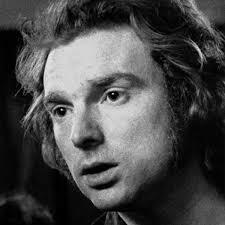 At a time when the “Bosstown Sound” was emerging, Van Morrison took up residence in Cambridge, playing small jazz clubs while refining a stripped-down acoustic sound that countered his previous R&B blues-rock incarnation. Stand-up bass and flute were present when Van Morrison premiered many of the songs that would be recorded for Astral Weeks a month later at the Catacombs, a Boylston Street basement club in Boston. Business project manager and systems analyst Anthony Freddura has built up 15 years of experience in his field. He has worked since 2013 as a lead systems analyst and product owner at Epsilon, a company based in Wakefield, Massachusetts, near Boston. Anthony Freddura additionally donates a portion of his free time to furthering the needs of his community, including serving as a volunteer to address the needs of people experiencing homelessness. Homelessness is a continuing challenge for the Boston area. In 2014, a survey released by the United States Conference of Mayors reported that Boston had the largest number of people residing in temporary shelters among the 25 larger cities surveyed. The city has shown its commitment to ending chronic homelessness. Its annual Homeless Census helps officials and the public understand the scope and size of the problem, which is one of the first steps toward providing creative solutions. The Census also helps by providing much-needed information about where the gaps lie in the city’s provision of services to people currently experiencing homelessness. 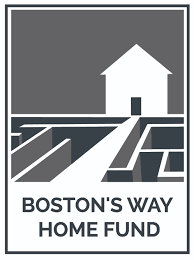 Through its Boston’s Way Home Fund, the city has set its sights on raising $10 million in order to construct hundreds of new housing units to provide safe, secure places to live for chronically homeless people. Serving as an Information Systems Quality Analyst, Anthony Freddura held responsibility for testing and supporting a client/server transaction processing system.